The real issue is that they did not ask you about this and there is no a way to op-out from it. In fact, the browser has a way to tell websites not to track with “Do Not Track”. But, is up to the websites to respect the request. Videos that autoplay, especially with sounds are, bad for my enjoyment of the site. They are very distracting and unexpected that just annoys me to the point that I dislike the brand that uses them. In addition, those video ads are not only annoying but drain, the battery life of my devices and the internet data plans which are not cheap. Video ads should not exist but when it is required, it should not autoplay or autoload by default. Ads that open new windows are a “no no” in today’s Web. We cannot go back to that kind of advertisement that belongs in the 90’s and even back then it was considered bad. I personally think that if a page opens another page without my permission, I assume that both pages are part of a scam. No matter what brand or company does it, it is unacceptable and I would avoid businesses with them. This happens a lot, especially in mobile versions of websites, where there is a layer covering the whole content and users have to tap on the “x” button in order to see the content. The problem with this is that it is a trick to open a new page because usually the close button opens a new tab on your browser. The other type of block content is the one used, usually by newspapers and magazines, where there is a “click to continue” button while an ad is taking the whole page. Have you ever been to a website looking for an item and later seen all the other websites showing offers related with your search? Yes! That is a big problem because those ads are tracking you for every single move you do surfing websites. The real issue is that they did not ask you about this and there is no a way to op-out from it. In fact, the browser has a way to tell websites not to track with “Do Not Track”. But, is up to the websites to respect the request. Most of them do not respect it, for example, Yahoo decided not to respect “Do Not Track” for their own business benefits. I am going to use TMZ.com as an example for this. 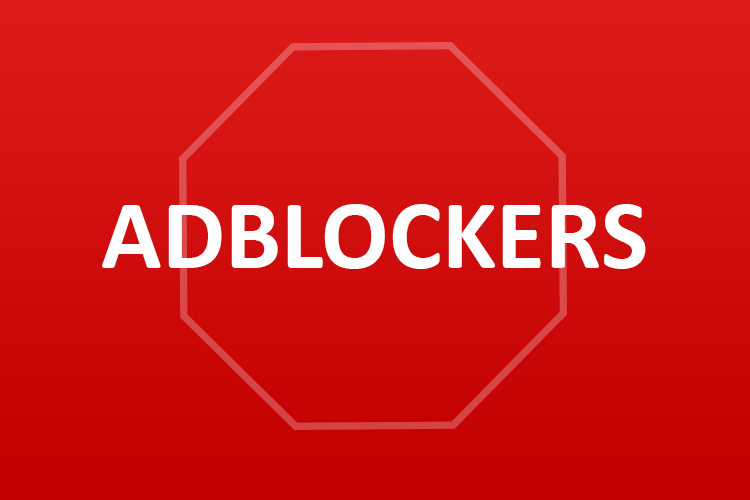 Disconnect shows that it blocked over 240 scripts and Adblocker blocked 18 ads on the home page. This is not a matter only of taste or privacy but money and speed. We cannot download Megabytes of data from our devices when the content is probably less than 10% of the real size of the page, especially since we are using mobile devices more than we did in the past. Mobile data is expensive and it is very costly to visit sites with ads on it. Additionally, speed is almost as important as content in some ways, if a page takes too long to load, users are willing to visit your competitors to find the information there. So, your ads are not going to be seen anyway. There is nothing more annoying on a web page that an advertisement that keeps popping or flashing in the corner of the screen. The purpose of the ad is to get noticed by the users. But, that can be accomplished without being so distracting and annoying. To me, the more flashy and annoying, the less trustworthy the ad appeals. Ads should be tailored in design/style based on the website and color scheme so they look that they belong in the section and are part of the design. That way the ads section can be called sponsors because they are not only tailored for the audience of the site, but visually, they are part of the design. This may look like asking too much, but if you consider that most of the points can be easily accomplished, it is really not such a big request. For example, users don’t need to be tracked because they never signed in for anything like that. I would say that adding some parameters to query string of the ad is more than enough. Params like referral or campaign should give enough data to the advertisers to work with the impressions and how they are performing. So, if they come up with a plan that don’t fall on any of the points previously mentioned, I am willing to remove the adblocker from my browser and I bet that most users will too.